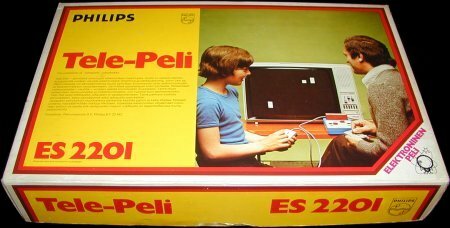 Although the Magnagvox Odyssey was released in Europe between 1973 and 1975, Philips released the Tele-Spiel (Tele-Game in german), model ES 2201 in late 1975. 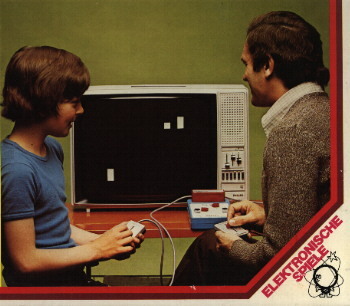 The system has a nice blue rectangular case and was one of the first PONG systems that used game cartridges. Like the Magnavox Odyssey 100, there is no on-screen scoring, hence the presence of cursors on the system case to mark the scores. The controllers use uncommon linear potentiometers (usually, rotative models would be used). In France, this system originally sold for 400F, the equivalent of 60 euros in 1975, which surely didn't boost the sales. 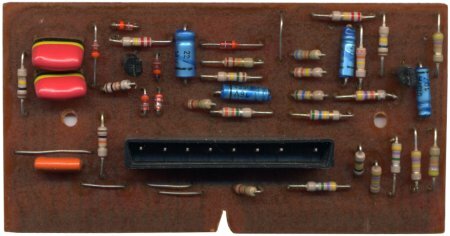 The system uses semi-analog circuits: discrete components including seven basic integrated circuits (CMOS type). In addition to the Tennis cartridge supplied with the system, four others could be purchased separately for 45F each. 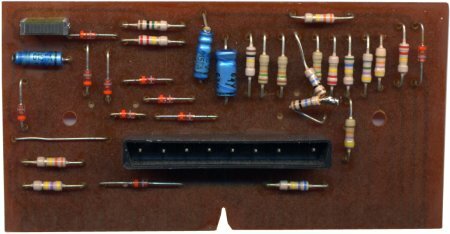 Alll contain a small circuit board with discrete components (resistors, capacitors, transistors, diodes, etc.) and no integrated circuits. Their circuits enables the necessary graphics generators, set the shape of these graphics (square, rectangle, vertical line, etc.) and manage various events such as collisions. Amazingly, the controllers plug to the cartridges instead of the system. Another smart feature of this game is the adjustable video frequency allowing to use the system on any free channel. 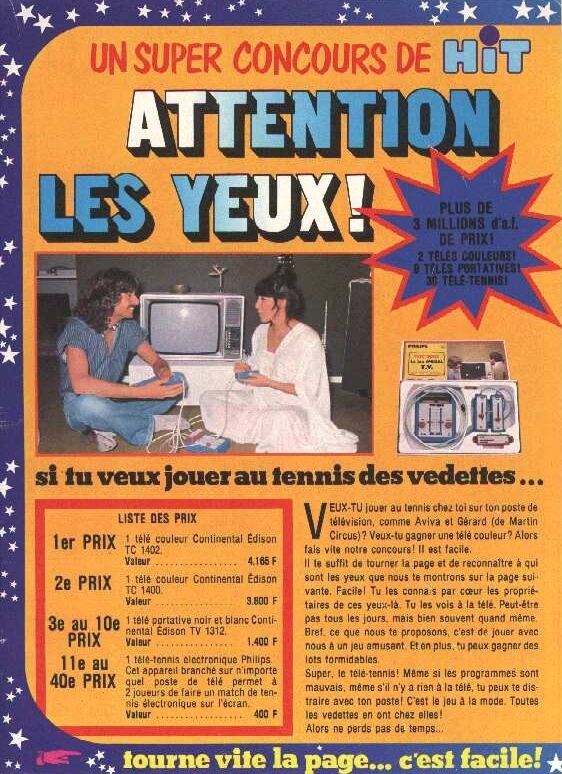 Some companies even advertised the game through contests (see the HIT scan). 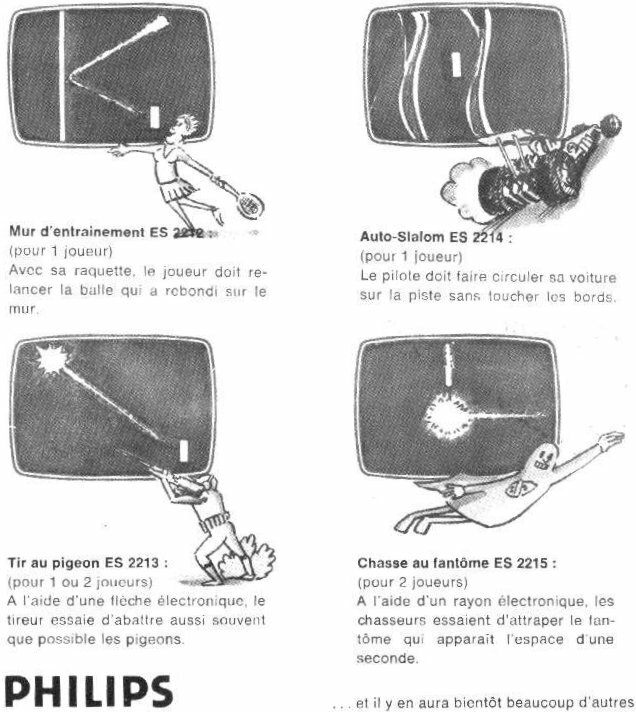 Elementary graphics in Tennis, and the system in its original box. 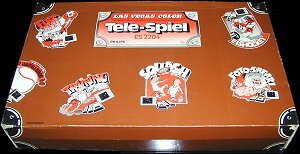 Left: Telespel version released in Holland. Right: Tele-Peli released in Finland. 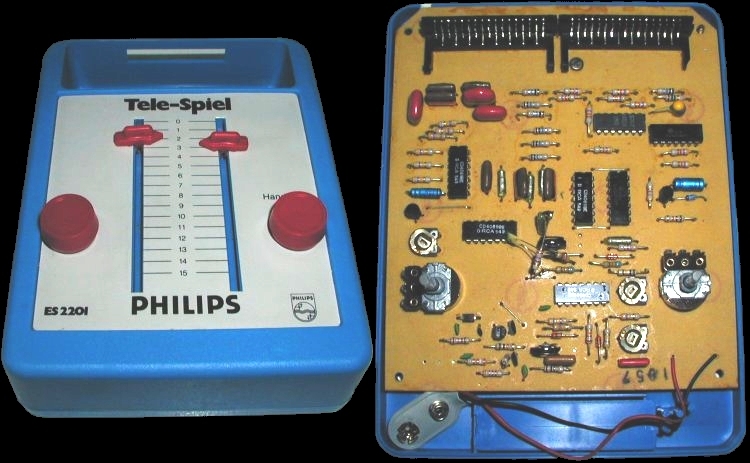 Tele-Spiel unit and its circuit board containing only seven CMOS chips. 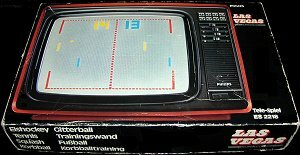 1976 HIT contest to win a Tele-Spiel. Description of the additional games. Click the pictures to see them in large scale. 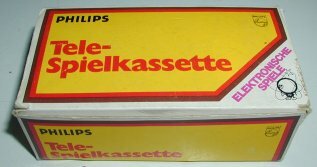 Left: box of additional cartridges. 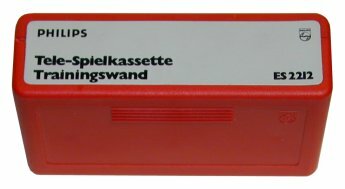 Right: ES 2211 cartridge included with the system. 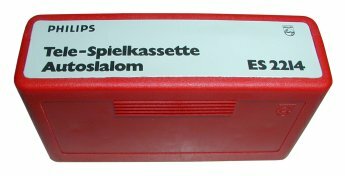 ES 2212 and ES 2213 cartridges. Both contain the same circuit board with only a few components soldered differently. Click the photos to see the circuit boards. 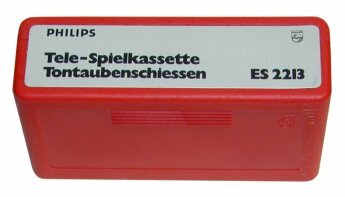 ES 2214 and ES 2215 cartridges. Click the photos to see the circuit boards. 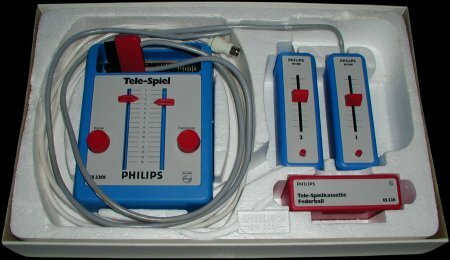 Later, Philips released other Tele-Spiel models. They no longer used the basic CMOS technology, but used dedicated game chips made by General Instruments. The artwork of some of their boxes (ES 2203 for example) was really nice.